Looking for a great alternative to crackers or chips? These ParmCrisps are great! I love when I can find products that are great substitutes for traditional items that don’t compromise ingredients. 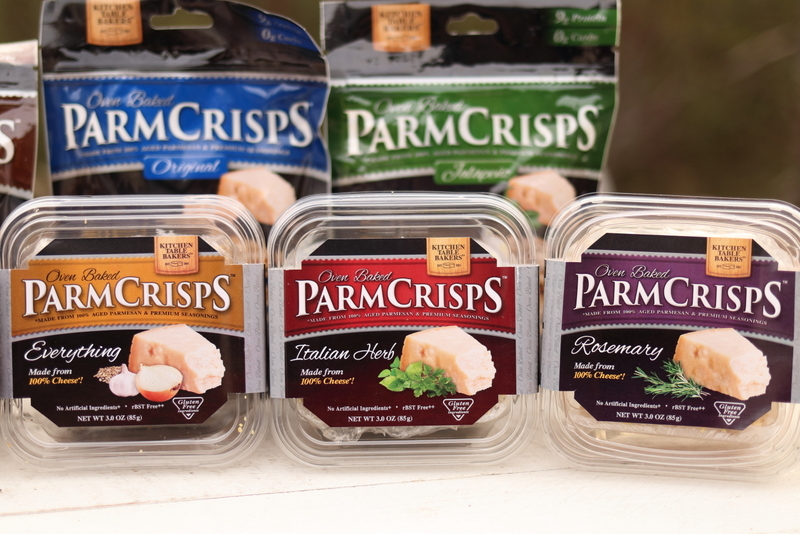 These ParmCrisps originals have one ingredient, Parmesan! And they taste great too! With the holiday fast approaching these can be great for servings with cheese, sausage, salami or any platter of appetizers. They are crispy and perfectly mimic crackers. And they taste great too! And no junk ingredients, preservatives or carbs. They also come in a number of flavors including Original, Jalapeno, Sesame, Everything, Rosemary and Italian. 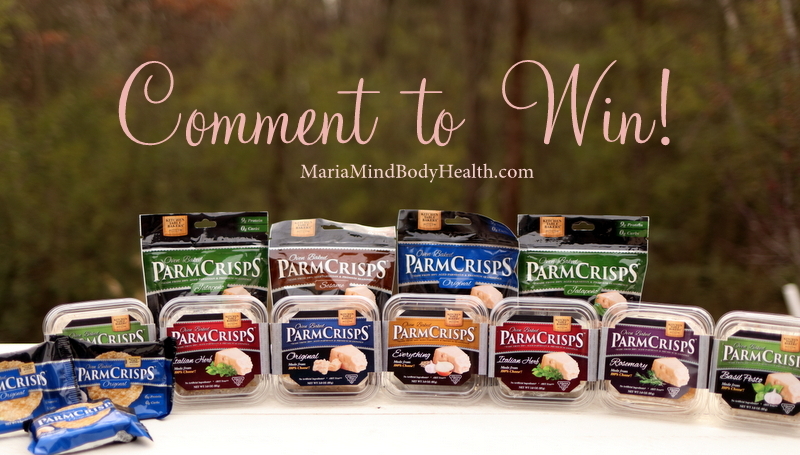 You can win a selection of these awesome ParmCrisps! Just leave a comment below for your chance to win. US delivery only. Winner will be selected Sunday November 19th. AND THE WINNER IS… Anne Gretsch!! Congrats! “Maria Wojcik Emmerich I just want to thank you so much for your commitment to helping people heal their bodies and lose weight through Keto. This is a picture we took yesterday with my son as he was preparing to ship out for Army basic training. He is 23 years old and has wanted to go in the service for quite some time but working at Starbucks he put on quite a bit of weight. When I started keto, I made a lot of things that didn’t turn out very good and were not the recipes he grew up eating. Needless to say he did not enjoy very many of the keto meals I made so he ate his own food eating out a lot. But because you put out your amazing cookbooks and your recipes are so delicious he finally tried a few things and was shocked at how good they were. His absolute favorite recipe is your keto chili. I made it for him several times. I love cheese crisps. Haven’t tried to make my own yet. I miss crackers, so these would be great! Thanks, Maria! I have seen these in the store but haven’t tried them yet. This would be a great way to give them a try and then have them on hand for snacks. Thank you for introducing the Parmcrisps brand! I have purchased another brand and found them to be tasty and am hoping these will be as well. The different flavors sound interesting and fun! Wow – these look great! I have made “cheese crackers” for my daughter who has Crohns over the years but to see them already done in a package is awesome! It would be wonderful to try some! These would be a tasty alternate to crackers. Perfect to add to my holiday appetizer platter. They look delicious. Would love to win. Have not heard of these before, but would love to try. Even easier than making your own crisps in the oven! And perfect for holiday snacking. These look awesome! I’d love to try them. I would love to try these! They look great to carve my chip cravings. 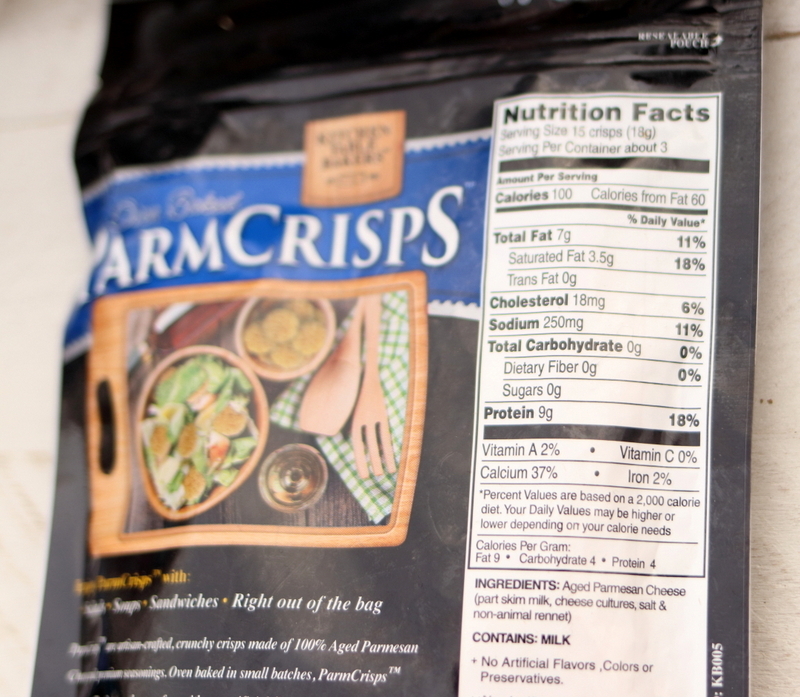 The ParmCrisps are a fantastic way to avoid “cheating” when you do not want to cook or you want something fried (used to create fried dishes) and you want to eat dips with something other than veggies !!! These look delish! Would love to try them while doing our holiday entertaining! I love these crisps! Your suggestions for products help to keep me on track and continue my healthy lifestyle, without feeling deprived. I love the original parm crisps! Didn’t know there were other flavors. Yum! I found these ParmCrisps by accident when I was shopping one day. They are so tasty and are a great way to satisfy the crunchy , salty taste buds! These would be delightful to try! Oh, they come in different flavors!!!!! Yum, can’t wait to try them all. these look so good! bet they would be yummy on top of a cup of soup! I would love to give them a try. They sound yummy! Oh Yum!!! Would love to be able to share these with the family over the Holidays. I would love to try this product. It would be helpful to have around the house as a snack. I would love to try the different flavors. These look amazing! Would love to try! Thanks for the chance! Ooooh. Would love to try these! 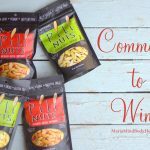 I would love to win these delicious crunchy snacks! “O” carbs is the best amount of carbs for me being diabetic in a snack!!! Would help in maintaining my med free life!! Look at the variety! Costco does sell a similar item that’s just cheddar and bacon… great cracker and chip alternative! They sound great! I would love to try them! There are fantastic! Thanks for the opportunity! I would love the opportunity to try them. I think I am going to love this page!! Can’t wait to check them out! Thank you. Keep the ideas coming. I wonder how the new recruit will do in Army Basic training – I imagine chow hall food will be loaded with carbs. He’ll probably be OK with the increased exercise, but hopefully he can transition back to keto when he finishes Basic! And those Parm Crisps look intriguing. Zero carbs for 15 crisps is a VERY GOOD snack. And no need to fire up the oven. I’m sold! These look wonderful! The many flavors look great! I have been looking for crackers ever since my Keto life conversion. I would love to try these. 0 carbs sounds like a winner to me!!!! I love cheese crisps! Such a great sub for both crackers and chips!! 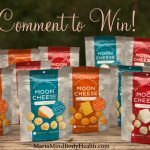 Love cheese crisps and love to try these out! I really would like to try these. Those everything crisps are AWESOME! I have a feeling that I would love these! Sound yummy, would love to try these! Yum! I’d like to try them! My birthday is November 19th… winning would be such a lovely gift. Having eaten plain cheese chips I would love to try (devour) the different flavors of ParmCrisps. Love eating crunchy foods & snacks. I’v made these for years with the cheese. There great when one need something. Thanks. I have never heard of them. Where can you buy them? I love cheese crisps, especially from Parmesan. Would love to try these!! I love all the flavor choices! Would love to try them!! yum These look great. I’d love to try any of the flavors! I sure miss potato chips! Hopefully these parm crisps will help. These cheese crisps sound wonderful. I love the testimony, too, just like I love to read all the testimonies, telling how you’ve positively changed so many lives. I recently found your cookbooks and website and am impressed by all you do. Thanks so much for the recipes, snack ideas, etc., as I’m just starting my journey with your 30-day Ketogenic Cleanse. I’d love to try this brand… these will be perfect over the holidays! I love cheese crisps and it is always nice to have the Maria seal of approval! Yum! They sound soooo good! What a cool product, I would love to try these! Thanks for introducing another great keto product. These convenience items always helpful. These yummy snacks would be nice for my holiday buffet. We southenerns love our cheese straws..these would be better for us. Oh yum! These look so good- would love them with soup or salad, or straight out of the package! I had these with my soup and salad tonight. Very tasty and crisp! 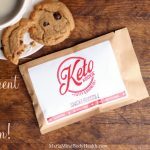 Since I’m allergic to all tree nuts, almonds, coconut, peanuts – you name it – I get excited when I see keto snacks that I can eat! I’ve never tried these, in fact haven’t seen them in my local stores. But when I do find some of this type of cracker/snack, they was so far out of my price range. Cannot believe they charge so darn much for them. I saw a bag of 12 chips that was over $4.00. Wow! Who buys these? These look delicious! I’d love to try them! I’ve made your parmesan crisps with your tomato basil soup (crockpot). They were delicious! Would love to try these. ZERO CARBS! Very impressive. You find the best stuff! Just getting ready to try my hand at making the parm crisps… Purchased your 30 day cookbook and Keto cookbook. Would really like to try the different flavors for the holidays! Great variety of flavors! Would love to have them to add to my snack trays! I will have to look for these. How about a recipe?? Would love to try these and recommend them to teh patients that contact me! Theseare soooo yummy! I’ve gotten them from Sam’s club & will get them again. HopeI win!!! Awesome! Thx for the chance to win! I’ve tried some of these. They are amazing! All us Keto followers know the importance of a crisp keto snack! Cheese crackers are a huge help for those of us who used to be potato chip addicts. 🙂 Would love to win this. Thanks for the opportunity! I’ve been following your method of puffing the rind off of a block of Parmesan and they are so addicting! I haven’t seen these in stores. They look good. I’ll have to check for them when I go shopping. Nice alternative to crackers, would love to try! I JUST bought some of these yesterday at my local store. I was standing in the check-out line and BAM! there they were, just asking me to buy some! At $4.99 I thought, “Boy, these better be g.o.o.d!” … and they were!! Hit the spot and guilt-free. My fav 🙂 Thanks for your emails ~ love the inspiration and recipes! yum! I have made some before but this would be so much easier for a quick snack. thanks! I’m always looking for something to sub for crackers or chips. I don’t always have time to make low carb crackers! I miss my crunchy snacks! I adore Parm Crisp!!! Soooo gooood!!! My fav salty snack. Wow, so many flavors! I’ve never seen this brand yet. They look yummy. these look yummy…will have to look for them! Would love to try them out, especially with a tomato and avocado dip! Can’t wait to try these…..
Wow…I am loving all of the new keto-friendly foods now becoming available!! I would love to try these! They sound delicious. Haven’t found them yet. Will check Amazon. PARMCRISPS are amazing. I get mine at Sam’s Club. I use them with mini pepperonis and salami for a quick snack. I’ve been eating these for over a year now. I keep a bag in my desk at school, and any time I feel a need for social eating, I just nibble on a few of these! I didn’t know they came in different flavors, OMG! Sam’s Club only offers them in the blue bag. I’d love to eat some of these flavors! Jalapeno! Right up my alley! These are delicious and very hard to find by me!!! My favorite is the Everything! with cream cheese and smoked salmon – better than a bagel with lox!!! So yum! Convenient , healthy and delicious!! Crispy keto snacks are always appreciated. Thank you for providing this opportunity to try some. I am so new to this journey! Excited to heal and be a new me!